I made shrimp scampi for the very first time when I was very new to cooking. I was celebrating my twenty second birthday and three of my close friends and I picked out a recipe and cooked it together. We had to use a community dorm kitchen and were so proud of ourselves when we finally sat down on a floor in Kym’s dorm and gobbled up our delicious work. It was a very involved and typical shrimp scampi recipe that involved dredging the shrimp in flour and cooking down white wine. I recently came across an shrimp scampi recipe that involved no flour or wine via Barefoot Contessa. 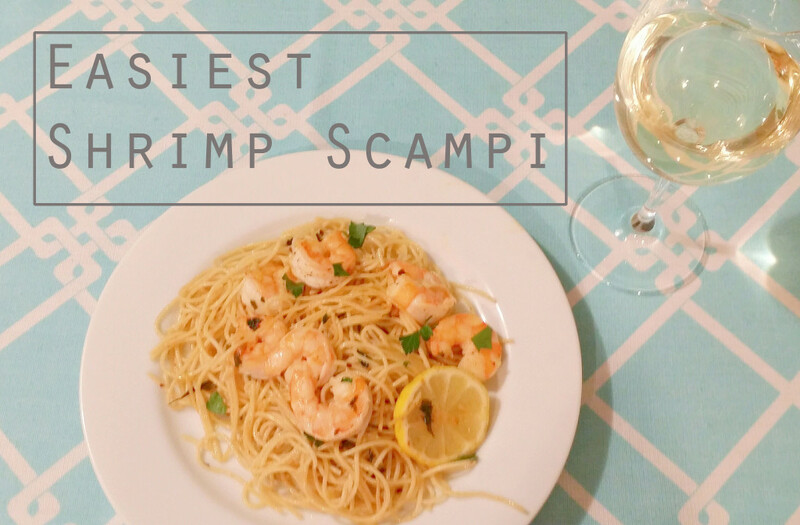 Curious to see if it could be just delectable without the fuss, I tried her recipe and am convinced this is the easiest shrimp scampi recipe ever.